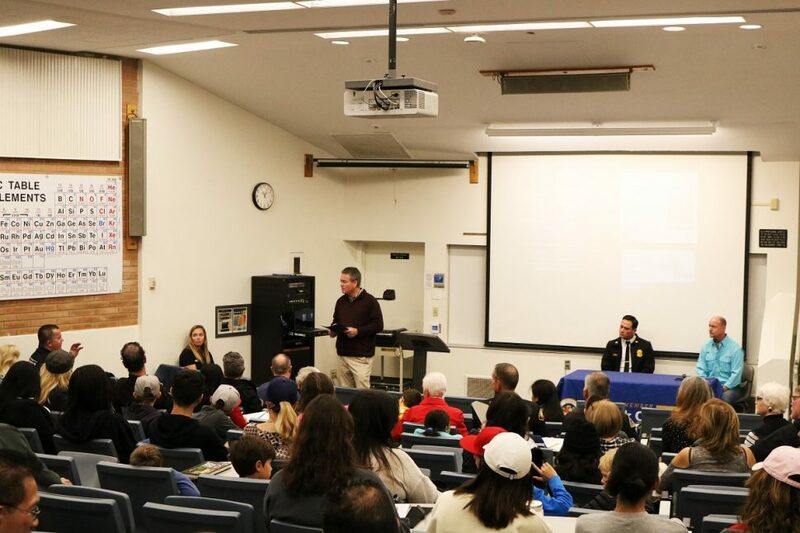 Shark Lab Director Dr. Chris Lowe and Assemblyman Patrick O’Donnell hosted Shark Day with an educational event on white sharks on Saturday at Cal State Long Beach (CSULB). Last month O’Donnell introduced AB 2191 to fund shark research and beach safety along the California coast. The bill would not only protect beachgoers but also the white sharks. Lowe said so far all the funding they’ve received for shark research has come from private institutions or even the public, but there hasn’t been any state or federal funding to do this kind of work. The bill is still waiting for approval. “We understand how important it is to educate people about sharks. The nice thing about this program is it will have a research component, monitoring component and an education component, which is badly needed,” Lowe said. 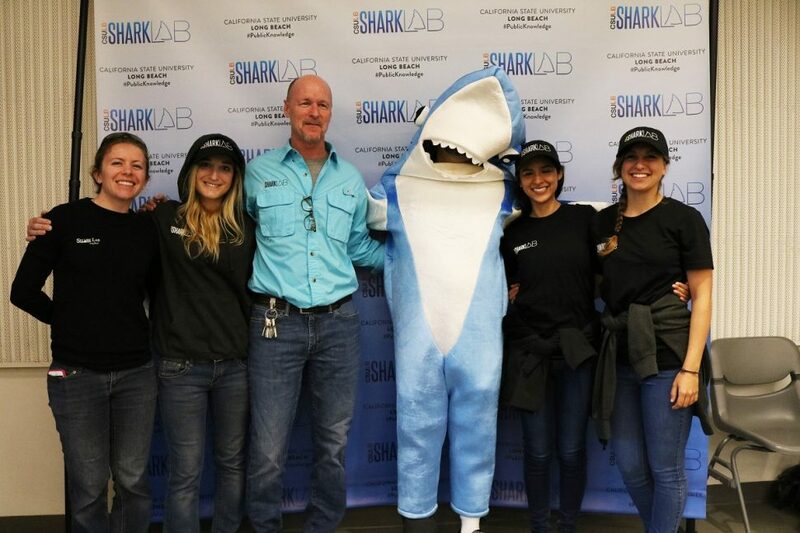 Students from the CSULB Shark Lab, including one dressed in a shark costume, greeted attendees and offered props on the side for anyone that wanted to grab a photo. O’Donnell welcomed and thanked the California lifeguards for keeping the beach and beachgoers safe. He also thanked Lowe for his research at the Shark Lab. Lowe started off by discussing why there has been an increase in white sharks at the beaches. He informed attendees that it was a good sign that white sharks are coming back to the shore because it shows that other parts of the ocean are getting healthier. Sharks help keep the marine life and fish population healthy. He also explains that beachgoers have been swimming among sharks for years. “There’s no indication that people are at greater risk because the sharks are in the water now, but we do have to be cognizant that those animals are out there and there may be some things we might want to start doing to be more careful,” Lowe said. Video demonstrations were also shown to inform attendees on how the lab uses its equipment to tag and track the white sharks. Lowe added that they haven’t seen adult white sharks on the beaches and that it’s very rare. Five- to six-foot long baby white sharks are the ones coming to shore to prey on stingrays, their number one source of food, and for a warmer safe haven from larger predators. Lowe reassured attendees during a Q&A that the baby sharks are likely to be more afraid of beachgoers than beachgoers are of the sharks because anything could be a threat to them. “As the shark population continues to grow or [if] their behaviors change, we may have to start doing other things to modify our behavior so that we could be safer, but we need good science backup,” Lowe said. 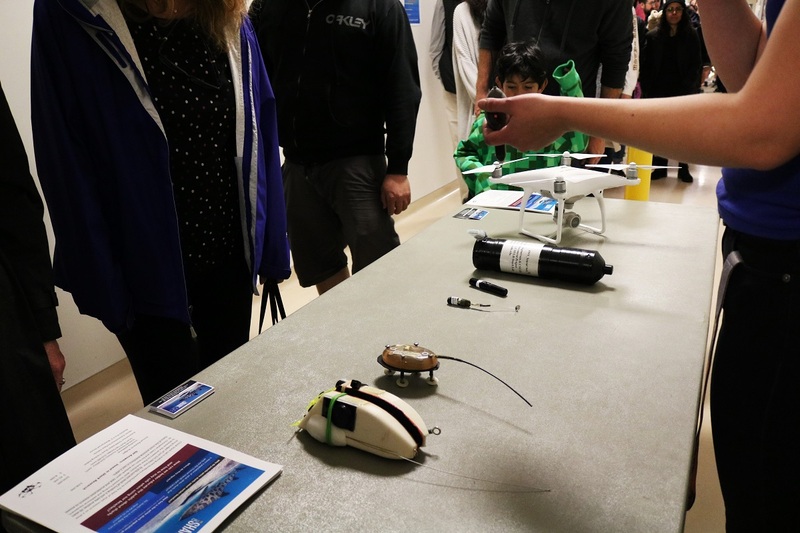 Once the Q&A was over, Shark Lab students guided the attendees to the lab, which is located in the Hall of Science on campus. 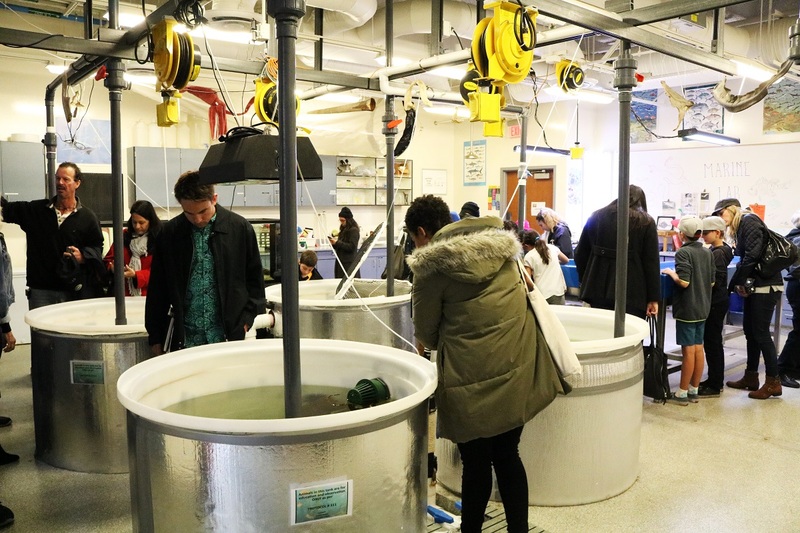 Attendees walked from room to room to observe the sharks, other marine life and equipment. 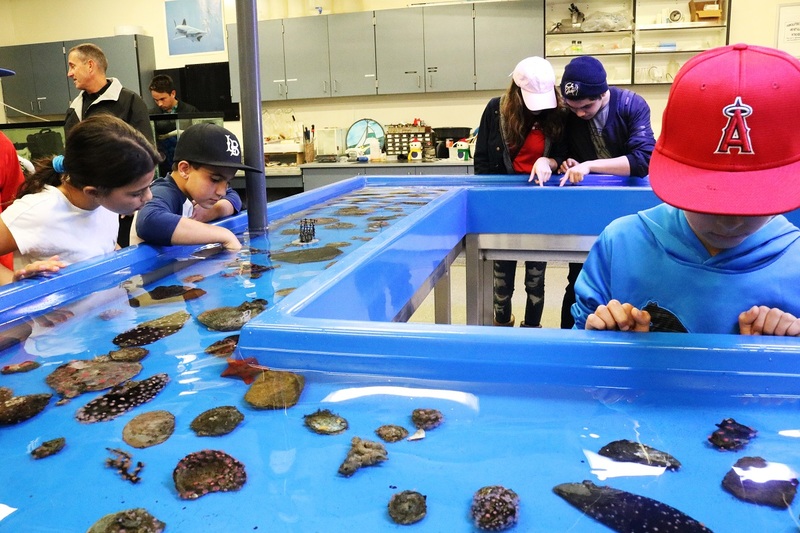 There was also an interactive section where guests were able to observe and touch starfish, sea cucumbers and anemones. 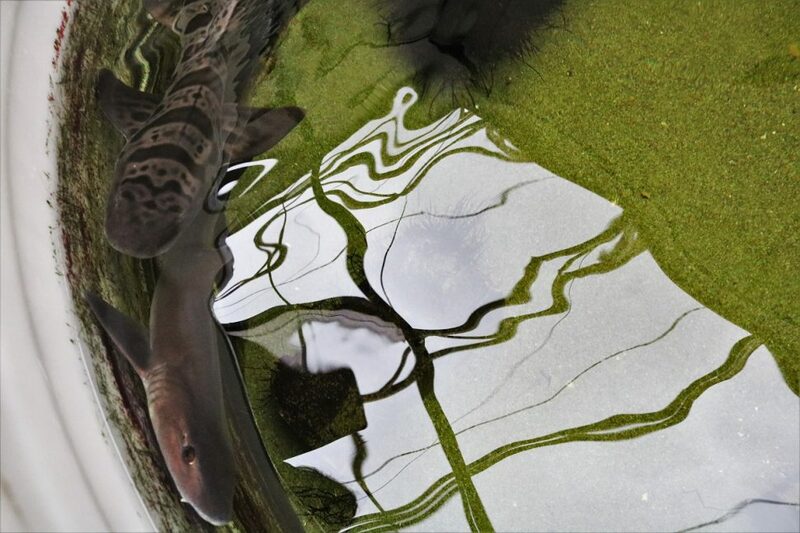 Learn more about CSULB’s Shark Lab here.